This release included the implementation of three new features, minor feature enhancements and some bug fixes. Card View presents your tasks and projects in a board display, based on custom fields that you have created. You can dynamically update the custom field status of your cards by dragging and dropping cards horizontally across the different custom field columns. 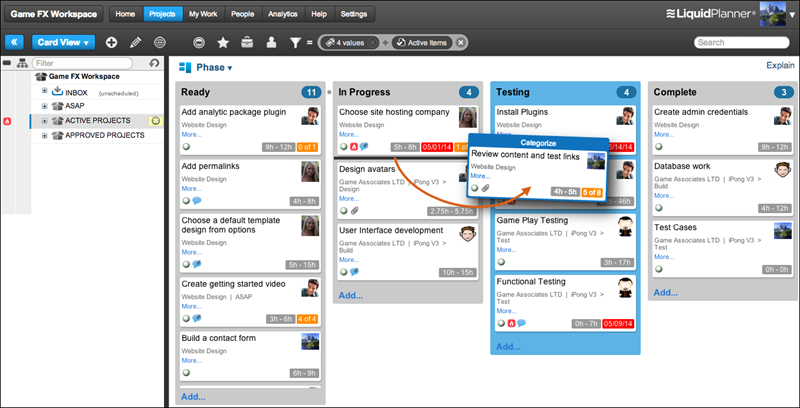 You can also re-prioritize tasks and projects in Card View by moving cards up or down within the same column. For complex re-prioritization, the best practice recommendation is to use Timeline View instead. Read more in our Card View Help Guide article. Partial-Day Events is a new item type that blocks out availability for events that start and end at specific times. Partial-Day Events can be useful for scheduling meetings, half-day vacations, or other activities that block your availability for part of the work day. You can now assign multiple owners to Full-Day Events, Partial-Day Events or Milestones. If you select multiple owners for an event item, each owner will have their availability blocked out for the time period specified in the event. When opening the Log Progress dialog box for a task, a new Jump To History button automatically directs you to the task History section to view the time tracking history. 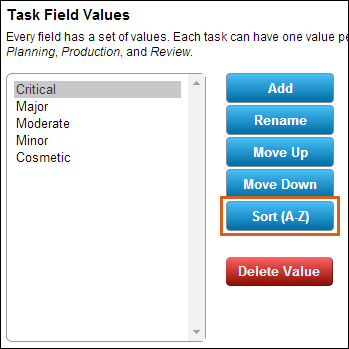 When a task is marked done by any user, the task will automatically be unpinned from timesheets for all users. If the task belongs to a container that was marked done, this will also automatically unpin the task from timesheets for all users. New LiquidPlanner users that create a password, or existing users that change their password, will now be required to create a password with a minimum of 8 characters. On the Projects tab, “Everyone” is now displayed in black font color in the Owners column. Previously, “Everyone” displayed in red, which is a color associated to disconnected workspace members. On the Workspace Settings page, the button to remove your workspace logo has now been fixed. Previously, clicking on the Remove button generated an error. Partial-Day Events – You can now assign Partial-Day Events to everyone in your workspace by using the “Check All” option in the member-picker. Previously, each member had to be selected individually. Custom Fields – The bug preventing you from deleting custom fields with an apostrophe in the name has been fixed. 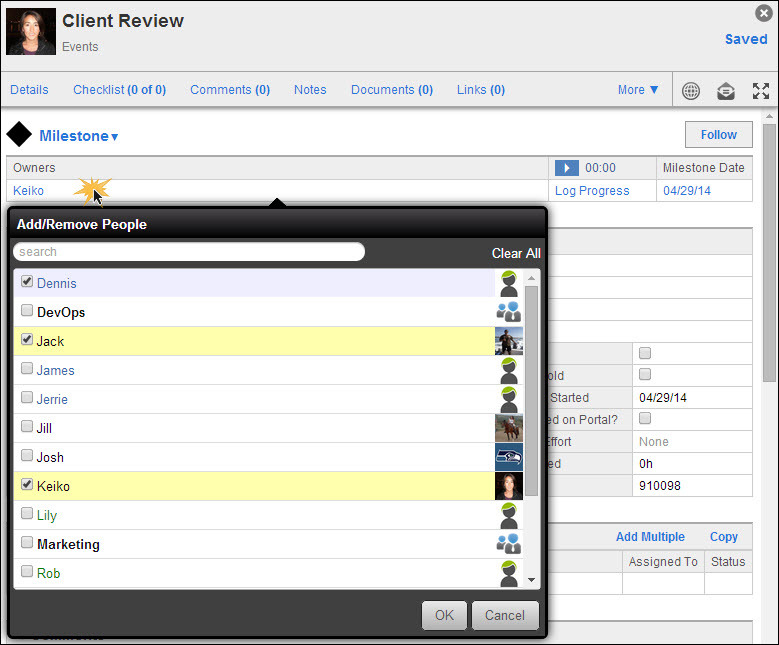 Card View – When changing a task card’s Brief Description in Card View, the update is now made in real-time. Previously, a refresh was required to see the changes. People tab – The “Transfer All Items To…” function on member profiles had been fixed so that checklist items will also be reassigned, along with tasks. Previously, only tasks were being reassigned. Notifications page – On the Notifications page, the dependency icon and on-hold icon will appear on followed items even when there are other icons in place on the item. API – Event owner_ids, owner_ids, and event_ids are again writable via the API. The S47 release disabled API support for these items temporarily.